According to research referenced by this recent HBR article, as many as 65% of us are in that boat. It is difficult to deny the truth that how we feel about our managers and leaders has a direct impact on our well-being and performance at work. This is part of a bigger umbrella of issues in the workplace, which I classify as “Dilbert” problems. Sadly, Dilbert is still alive and well, but that doesn’t stop us from being part of the movement to put a dent in it (however small). That has been a driving force for our work since the beginning, and I want to let you know that we are not giving up. In fact, we are more inspired and encouraged than ever. Through a long and winding road of experience and research, learning and listening, we are coming to see that there is a powerful antidote to Dilbert and difficult bosses. It can be summed up in two simple words: self-awareness. When we embarked on this journey more than 10 years ago, we wanted to tackle Dilbert by mapping networks – human networks in the workplace. The goal was to make leaders aware of what was really going on in their organization – who had influence, how teams are working together (or not), and to use this information to make better decisions in terms of succession, change management, and collaboration. And we were seeing positive results. 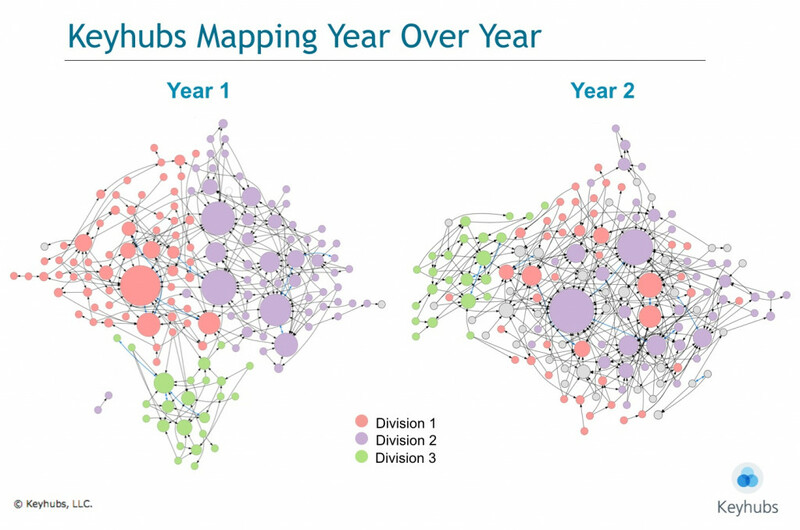 In this example, we revealed a fairly siloed organization and used these mapping insights to help foster a more cohesive cross-divisional team. 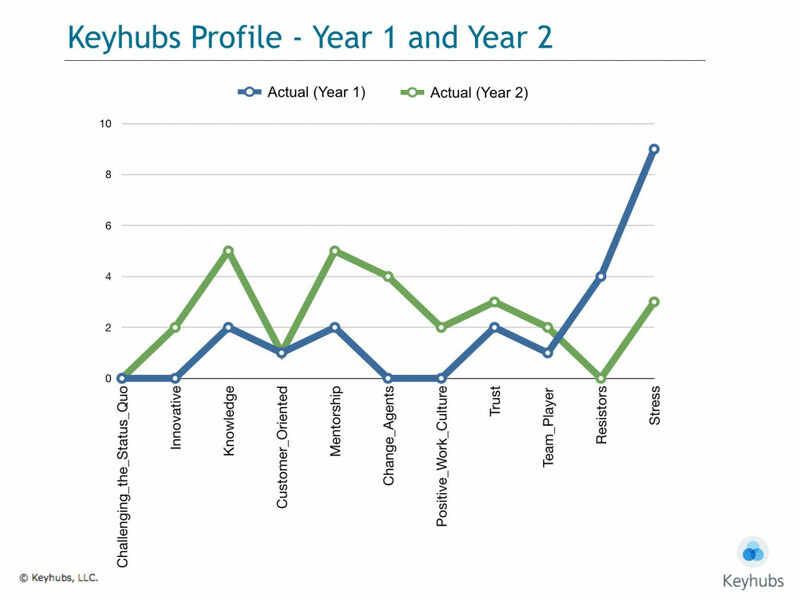 In Year 2, we could see where progress had been made and where more efforts were needed. 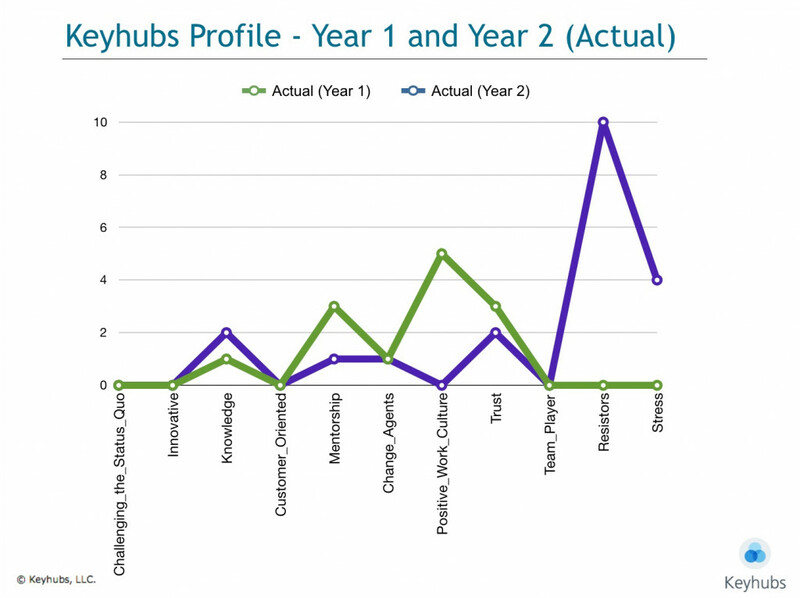 A few years into our mapping services journey, a customer asked us a question, which changed the course of our destiny and opened the door to new possibility and epiphanies. 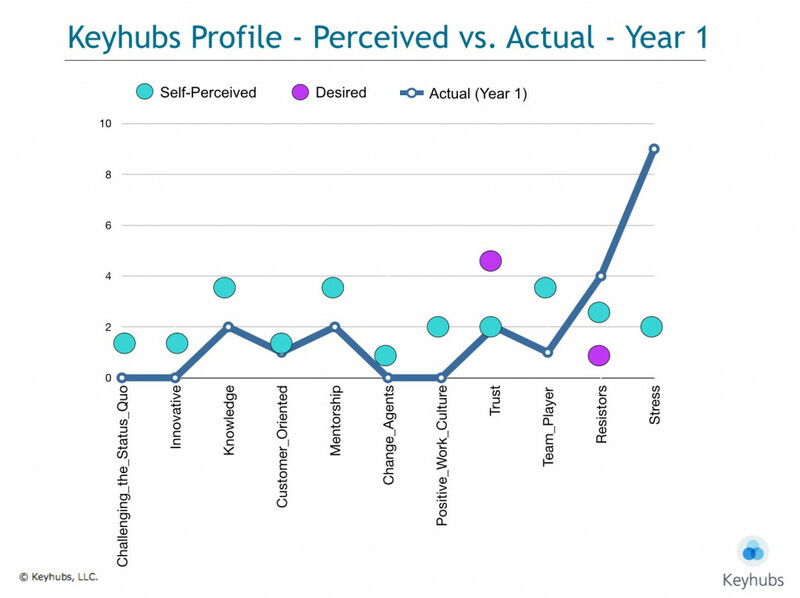 Within a few months, we had developed a unique 360 self-reflection process, which didn’t require additional data capture. We could take the existing mapping data and provide leaders with a clear view into how they were impacting people around them. Unlike traditional 360 instruments, this process capitalized on the wisdom of many vs. a select few. As we rolled it out to clients, we discovered an interesting pattern: not only does talent and influence transcend hierarchy, but people in general – especially senior leaders – are not great at assessing their own influence. Leaders frequently overestimate or inflate their perceived influence. 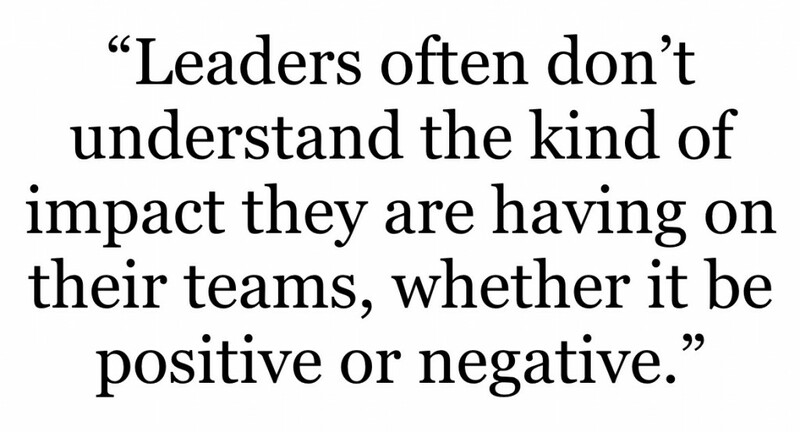 They often don’t understand the kind of impact (or lack thereof) they are having on their teams, whether it be positive or negative. It’s no wonder so many of us would forgo a pay raise in favor of a new boss! In this example, a senior leader assessed themselves with low-to-moderate influence; however, their actual results revealed that they were the source of much-unwanted stress – a major influencer in a negative category. This powerful self-reflection opened a lot of eyes, and more importantly, it was proving to be a potent catalyst in shifting human behavior. It is difficult for a leader to have a better influence on those around them if they don’t (objectively) know what kind of influence they are having. Once they know, there are in a much better position to shift. And, we began to see this too. When we came back a year later we saw that the stressful influencer had dramatically shifted their influence. They attributed the self-reflection in year one as a game-changer. 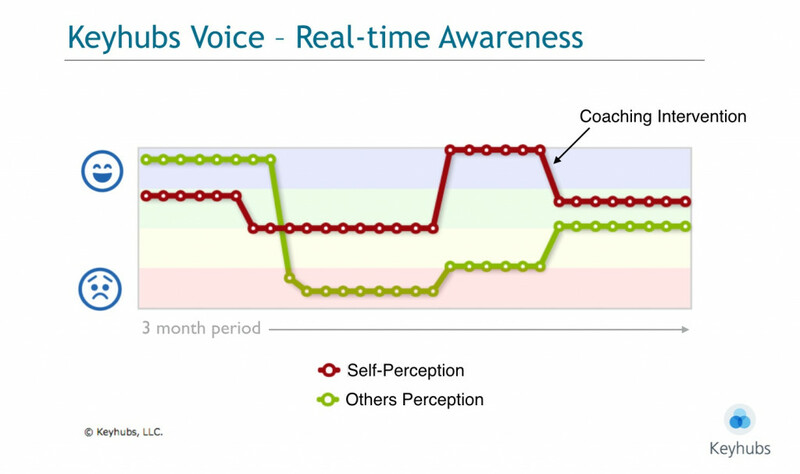 Through guided self-reflection, and one-on-one coaching our software was not only measuring influence but shifting it. Then, we ran into this scenario. This leader’s influence started off fine in year one but tanked in a short 12 month period. They were oblivious to the kind of negative impact they were having and had no idea their team was suffering or that good team members were on the verge of quitting. Point-in-time analytics have their place, but how do we provide insights as they are happening, so interventions can take place in the moment before it is too late? This challenge gave birth to a new idea: Create a complementary software product that would provide Keyhubs-like illuminations in real-time – a platform for tracking, displaying, and trending sentiment on an on-going basis – providing unique and timely information for the people who need to know. And like that, Keyhubs Voice was born. 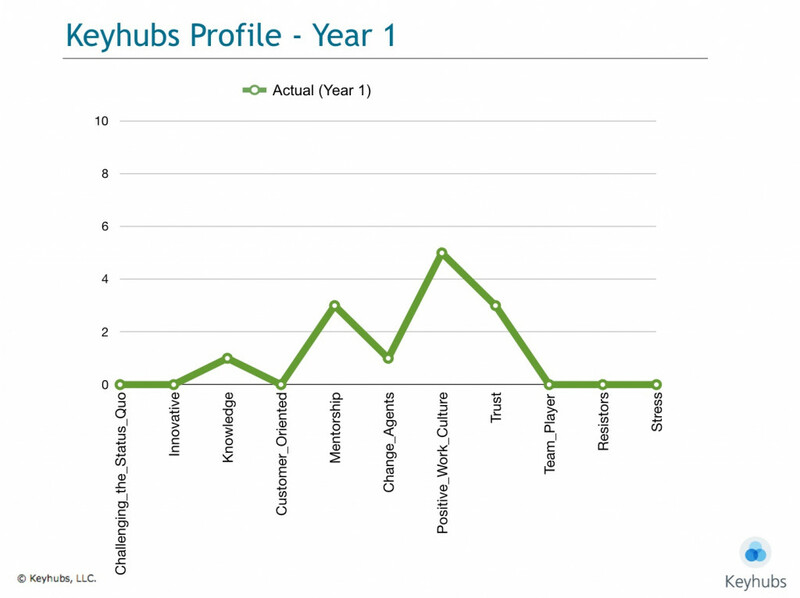 In 2017, Keyhubs Voice took flight. We rolled it out in several organizations and continue to expand every quarter. In this example, leaders can see how their organization is doing along three key cultural measurement areas. Things are shifting on a daily / weekly basis. In one short month, we can see trends moving in the right direction. Just like your mobile phone provides the ability to capture a snapshot photo or a continuous video stream (without either of them obviating the need for the other), we now provide both options for clients. They complement each other and we are finding fascinating correlations between point-in-time leadership influence and real-time sentiment. 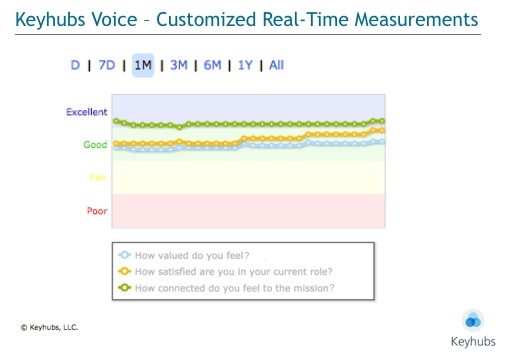 1) Real-time employee sentiment – how is everyone doing along key measures important to the business? In one platform, leaders can not only measure the temperature of their teams, they can improve the temperature by heightening self-awareness, and encouraging team members to seek / provide feedback for growth and self-development. One has the power to influence the other. As a leader’s influence changes (which it often does), we can track, measure, and intervene as necessary, thus preventing the growth of toxic cultures and fostering the proliferation of healthy ones. Are you looking to enhance self-awareness for yourself, your team, or other leaders in your business? Do you want to be a better influencer? Are you a leader or leadership coach looking to use real-time time data and insights to inform your decision-making / coaching strategies? Lookout Dilbert, here we come. I am always amazed at this kind of data. Alas, power and fear still rule organizations. However, people like you and your team make leaders “see” something else. Thank you, Francois! I agree. Appreciate your thoughts, feedback, and reflections!